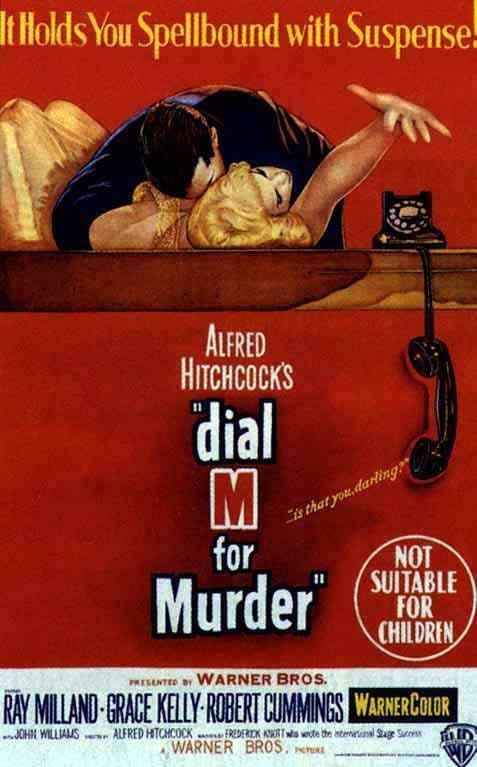 This paper argues that in Dial M for Murder (1954), Hitchcock was able to successfully create and environment where his audience would become the villain. Hitchcock can make his audience just as culpable as the characters in his film; he has the uncanny ability to make his audience feel like a criminal. Utilizing the cast of characters, the intimacy of the set, and the objects at his disposal, Hitchcock finds a way to get into the mind of his viewers, and make them question their own morality. This lies in the fact that is a murder mystery and not just a thriller, the audience has that extra anxiety when they start to figure out plot points before the characters do. The film manages to have the classic ‘Hitchcock Suspense’ but in a less horror-like fashion. There are so many different layers and minute plot points that might be hard to miss if one is not paying close enough attention. He gives the answer to the film’s puzzle the entire time it is being watched, it is just a matter of whether or not people pick up on the hints. Here lies the beauty in Hitchcock’s films; He is not just the Master of Suspense, he is the master of audience manipulation. He is able to twist his viewer’s emotions any way he pleases, and in doing so, has become one of the most renowned filmmakers in the world. This entry was posted in Student Projects on May 4, 2014 by tkiechli. A “Woman on the Run”… From What? 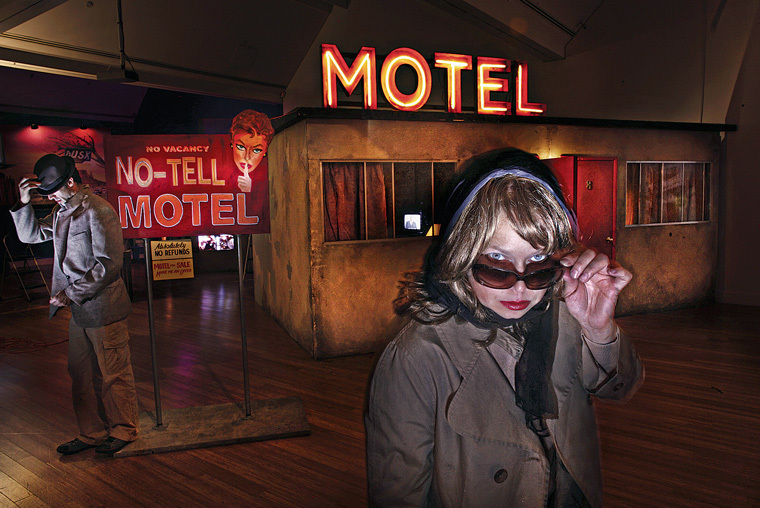 In her beautiful, interactive piece, Snelling utilizes classic Hitchcock Suspense artfully. As one walks through the piece, it is as if they are watching one of he Master of Suspense’s films; the further into the exhibit one goes, the more their learn about the crime this woman is running from. 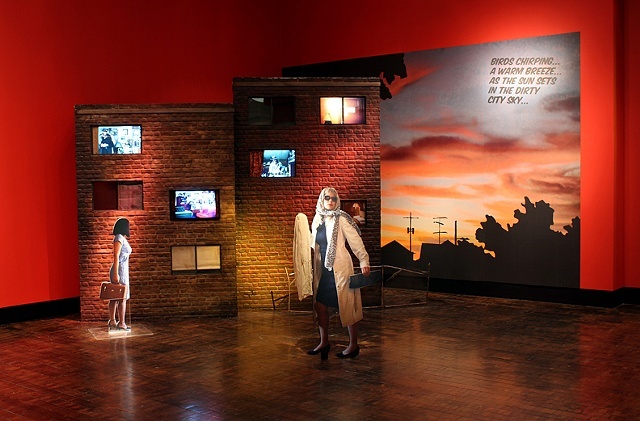 The viewers themselves become detectives as they work through the entirety of the exhibit to discover the story. With her art, Snelling has made a living, breathing, interactive Hitchcock movie. 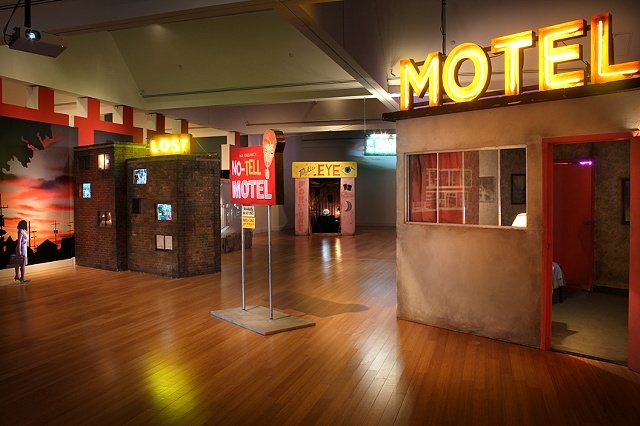 The exhibit changes every time it moves venues, which allows Snelling to keep her Hitchcock homage suspenseful every time a patron walks through it. This entry was posted in Hitchcock and Contemporary Art on May 2, 2014 by tkiechli. Some critics will say that Psycho is the best film of all time. It is one Hitchcock’s most well known films. Even to the most recent generations, it has gotten to the point where many people recognize the shower murder scene but may not even know it’s source. The sheer amount of pop culture references the scene has generated are too numerous to count. That being said, Vertigo has claimed that spot, and this rightfully so. Vertigo as a film was Hitchcock’s most effective and potent personal commentaries. The main character has an unhealthy obsession with the leading lady of the film, forcing her to change for him. “Many agree it is Hitchcock’s most effective and personal commentary on his medium, the spell of cinema and his role in it” (Rhik Samadder). This is eerily reminiscent of the “Hitchcock Blonde” syndrome. It is also unique in the fact that Scottie’s main hindrance is a medical condition, something not imposed on him. It is not a villain, or an outside force contradicting his desires, it is his own body. This, along with the film’s apparent obsession with the inevitability of death adds extra layers to the entire tone of the film. –The link to the critical article I agree with can be found in the hyperlink of Rhik Samdder’s quote. This entry was posted in Views on Vertigo on May 2, 2014 by tkiechli. 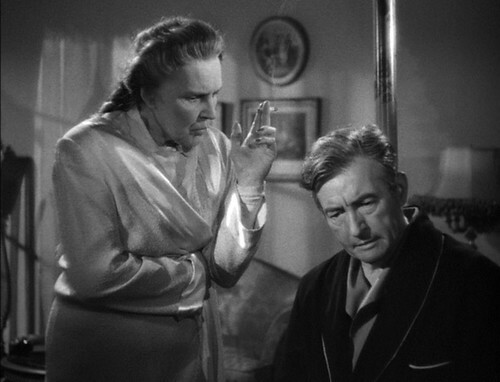 One of the many themes that reappear in many Hitchcock films is the likable villain. Some of these characters include Professor Jordan in The 39 Steps, Alex Sebastian in Notorious, Bruno Anthony in Strangers on a Train, and Charlie Oakley in Shadow of a Doubt. Hitchcock paints all of the characters in such a light that his viewers feel pangs of guilt when bad things happen to them. These characters are often played by handsome, suave actors; this helps further divert the audience’s morality. Considering these characters are pretty much evil people (i.e. Nazis, murderers, etc. ), Hitchcock does a fantastic job of making them as sympathetic as possible. When the audience starts siding with these characters, they start questioning their own morality, leading to a more uneasy and unsettling experience in the theatre. This entry was posted in Hitchcock Themes on May 2, 2014 by tkiechli.